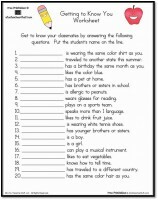 This goes with a first day of school activity found at Little Giraffes Teaching Ideas. This ball of playdoh is fun But it’s magical as well. With a few squeezes, The future it will tell. If it changes color, A great year is ahead for you and me. Squeeze it now! What do you see? 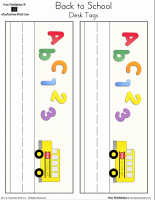 Back to School Nameplates / Desk Tags Desk tags or nameplates with a school bus and abc 123 back to school theme. Choose from color or black and white. 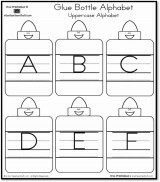 Printable crayon desk tags available in color or black and white. An innovation of “To Town” by Joy Cowley; a Rigby Story Box book – Print one copy of the cover for each book you plan to make. 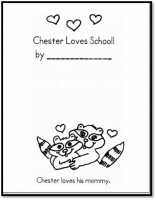 Print one copy of the cloze page for each student. 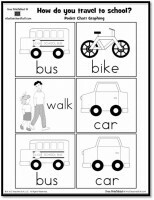 Discuss with the students different ways to get to school. If available, read “To Town” by Joy Cowley with the class. After each child has come up with a way to go “to school”, help each student decide whether to use the page that says “…on a _____.” OR “…in a _____.” Encourage students to use inventive spelling to fill in the blank and illustrate their pages appropriately. If students are not able to use inventive spelling to fill in the blanks independently, an adult should fill in the blank for the students. Includes header card and graphing cards for your pocket chart, plus a graphing sheet. 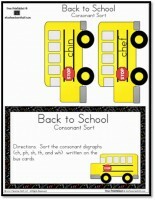 School bus themed cards with words beginning in ch, ph, sh, th, wh. Choose from color or black and white. Available in both color and black and white. Pencils for skip counting by 5s. This is a wonderful website. New teachers are always told “not to reinvent the wheel!” How true is that. You don’t need to when you have a site like this! Thanks! This is the best site for retired teachers who find themselves substituting. I gave all my school stuff away when I retired and now I find myself in an long term substituting position. I need activities for a brand new class, but I don’t want to spend any money. 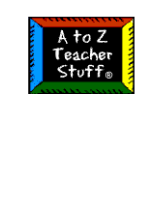 Thank you A to Z for giving me tons of free printables and lesson plans and activities to make my teaching a success! This website is fantastic! 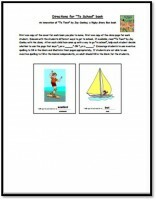 I’m a Hungarian speaking English teacher and love printing your worksheets and working with them. The kids love the lessons and we have so much fun. Amazing! thanks for all the work you out into it!!! Thanks for making so much good stuff available to teachers everywhere!